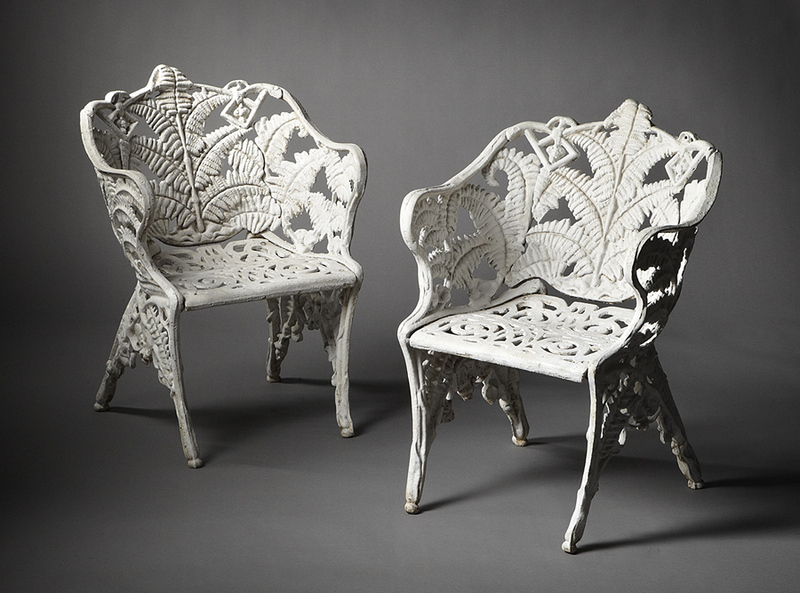 A pair of vintage cast iron fern and blackberry pattern garden chairs in the Colebrookdale Style. Having continuous arms and pierced seat. A great garden item.